Property 2: One bedroom flat. Borders reserve. Want to feel at home while you're away! 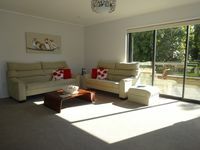 Property 23: Want to feel at home while you're away! Property 31: Does your dog enjoy the beach? Bring him here! Property 33: Relaxing garden, Rural and Bay views. Property 35: Large Family Home, walking distance to beach. Property 37: Newly renovated and GORGEOUS! Summer's still here! 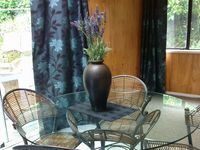 Property 39: Perfect Kiwiana getaway - for the WHOLE family! Property 40: Beachfront - In Paradise! Property 41: Summer's here! Grab a short break here now! Country dwelling set in divine garden setting. Property 49: Country dwelling set in divine garden setting. Property 50: The perfect location - Right On The Beach!